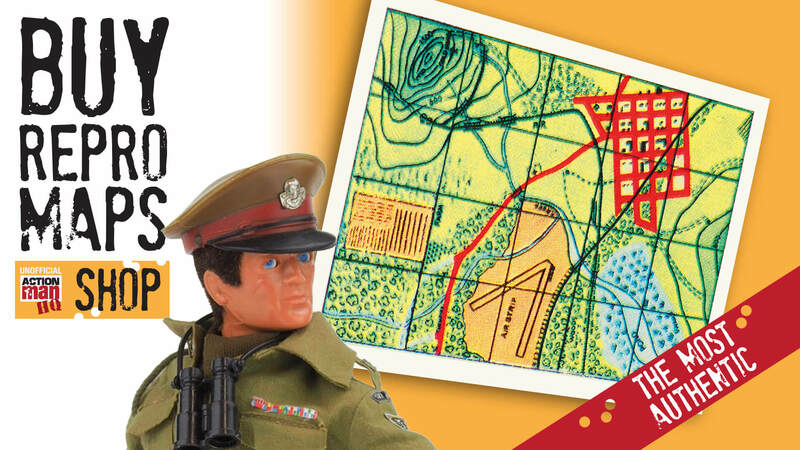 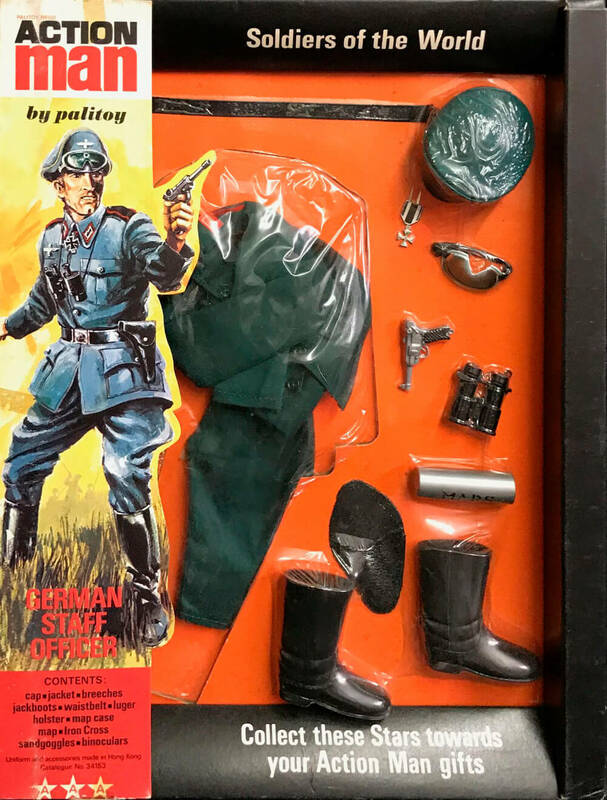 The basic Action Man Action Soldier figure from 1974, could be accessorised with one of a popular range of uniforms entitled "Soldiers of the World" (SOTW) that first appeared in 1973 and appear in the 1973 Equipment Manual. 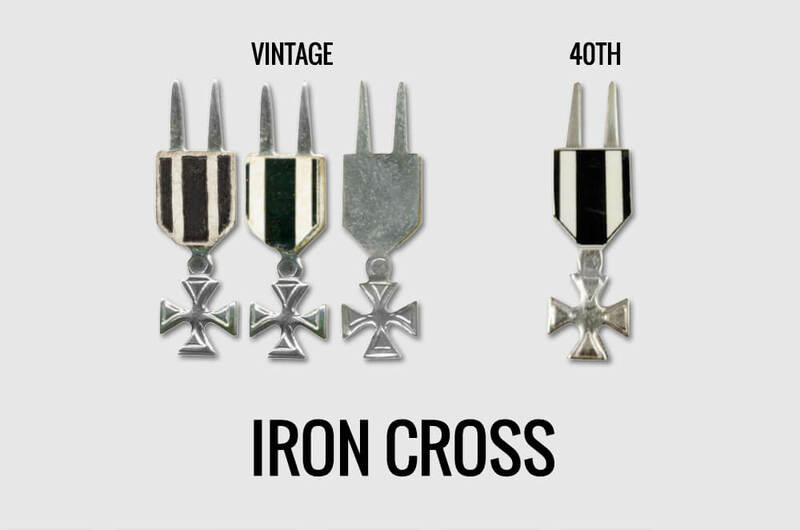 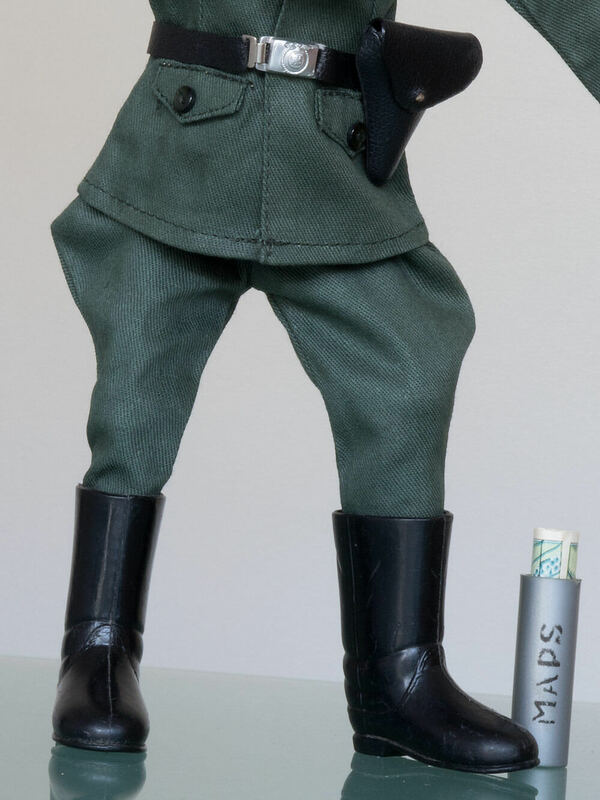 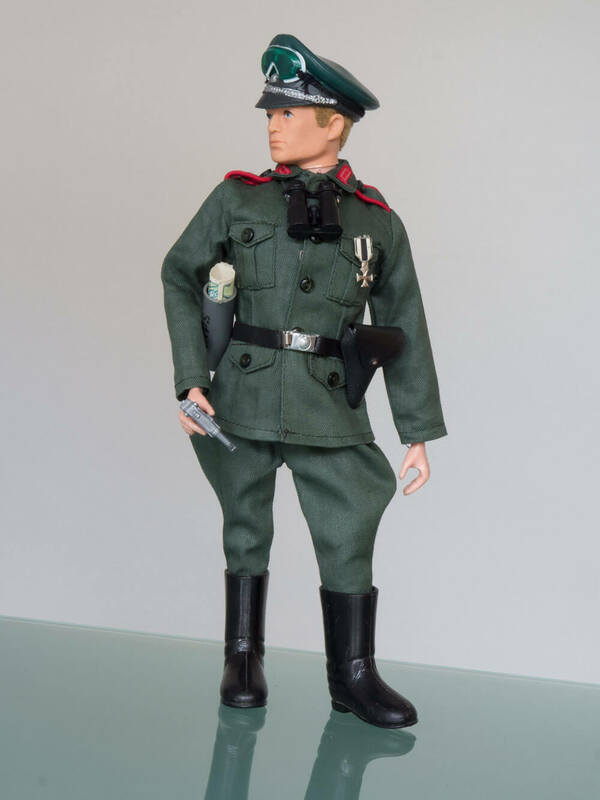 They also included the British Infantryman, German Stormtrooper, French Resistance Fighter from the Soldiers of the World range, and a redesigned Australian Jungle Fighter, French Foreign Legion and a year later on, this German Staff Officer. 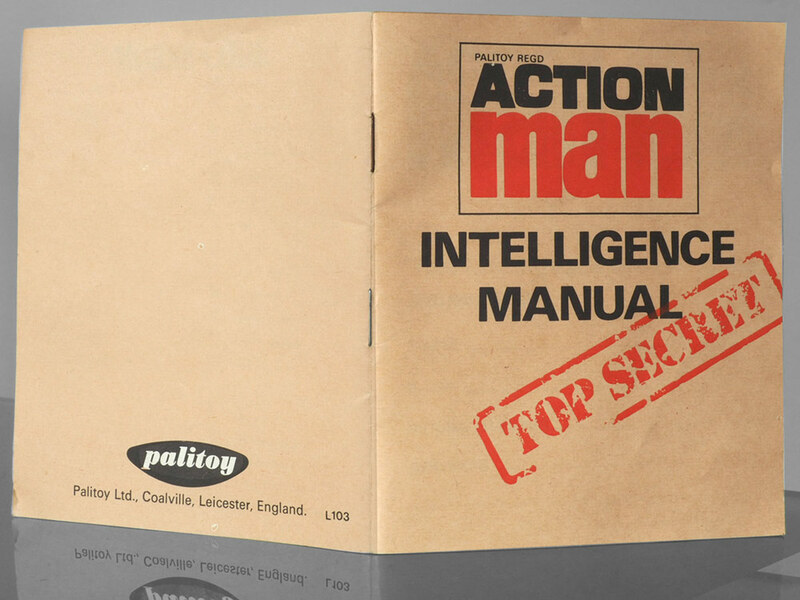 Also included with the first sets was the top secret 'Intelligence Manual' - showing line drawings of all the soldiers, their equipment and a brief summary of their exploits, with the exception of this Staff Officer it seems. 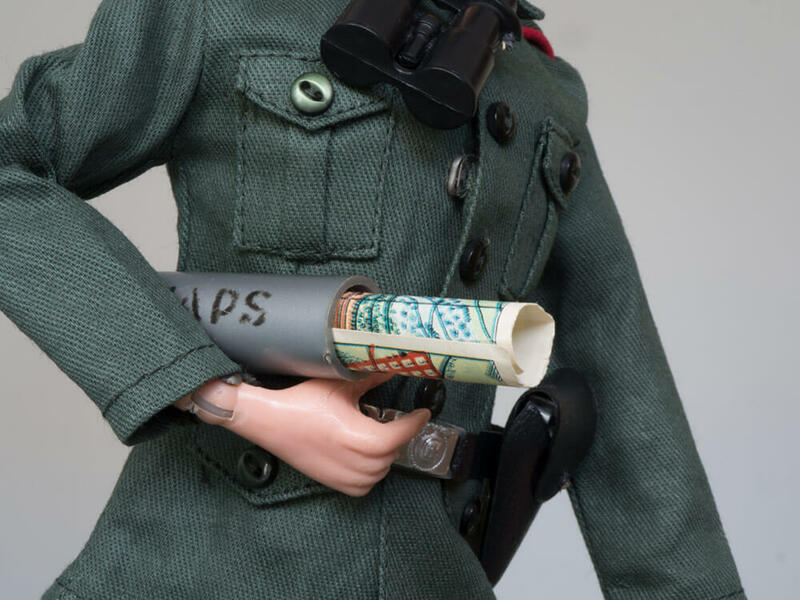 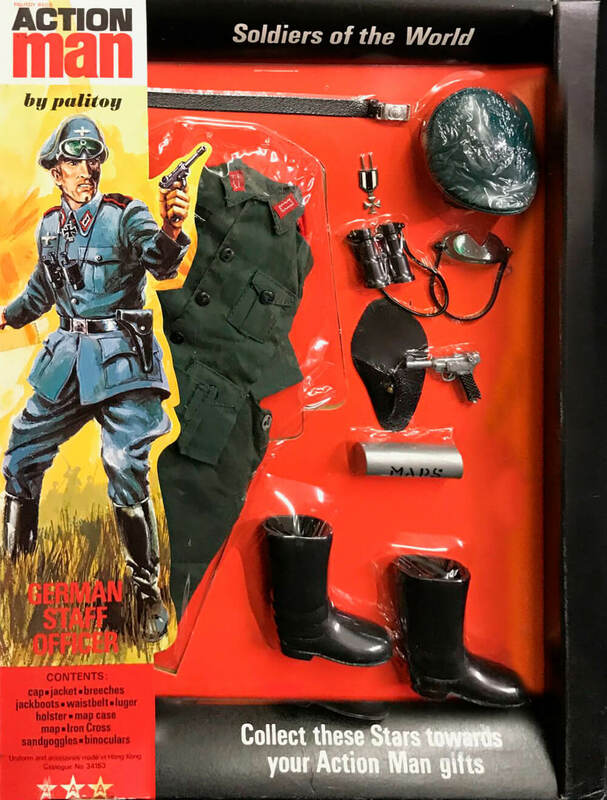 ACTION MAN GERMAN STAFF OFFICER: Cap, jacket, breeches, jackboots, waistbelt, Luger, holster, map case, map, Iron Cross, sandgoggles, binoculars, Intelligence Manual, Equipment Manual. 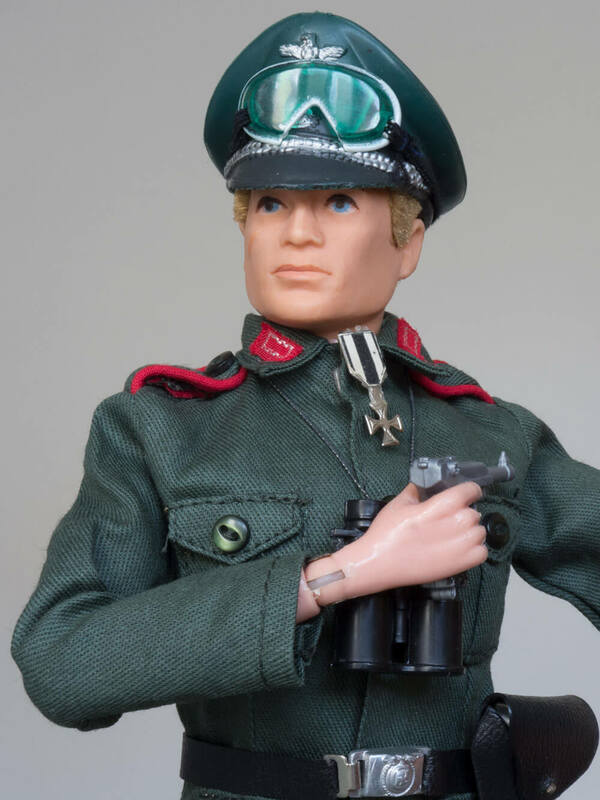 ACTION MAN GERMAN STAFF OFFICER EQUIPMENT: Waistbelt, Luger, holster, map case, map, Iron Cross, sandgoggles, binoculars. 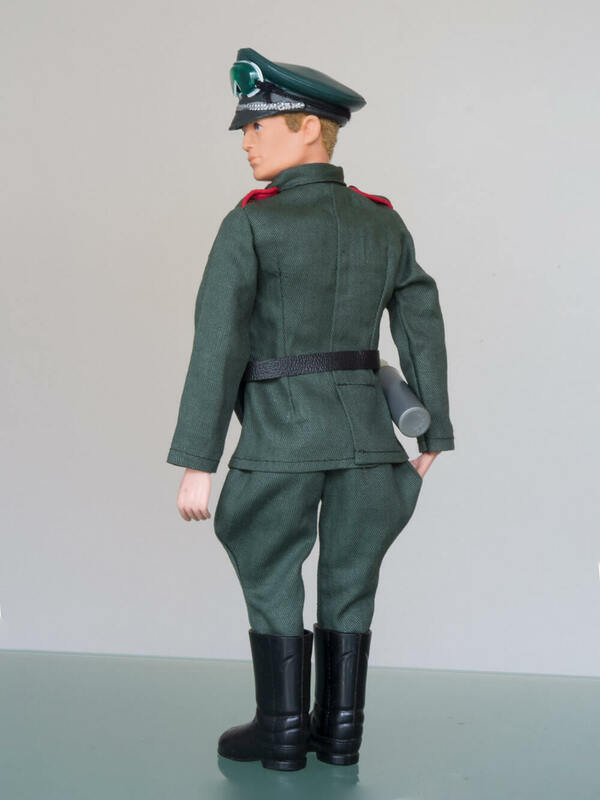 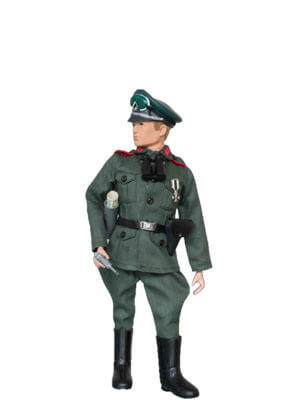 ACTION MAN GERMAN STAFF OFFICER UNIFORM: Cap, jacket, breeches, jackboots. 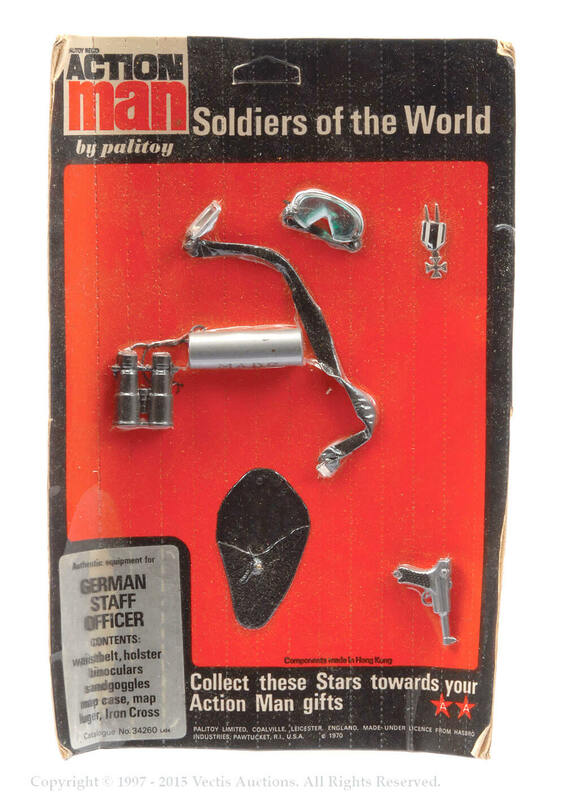 with elastic straps to binoculars and goggles. 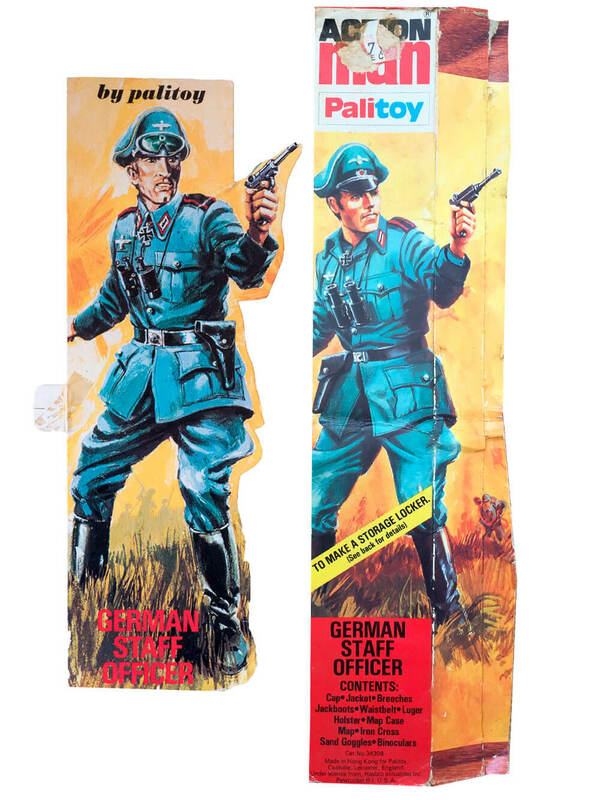 Note Luger has pointed front sight. 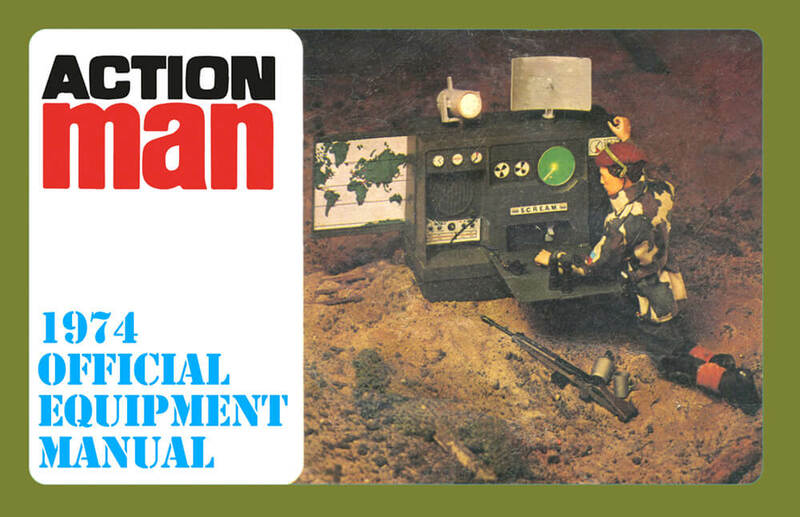 with plastic straps to goggles and binoculars. 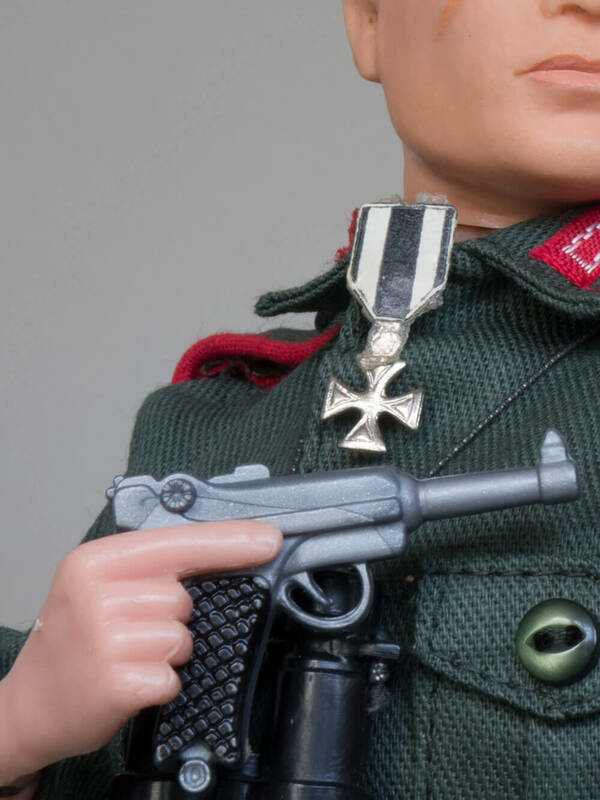 Note Luger has rounded front sight.